Buy NEO-H-18S2835-AC-5K | NEON-EK Ltd. Electronic Components. Hexahedron; LEDs quantity: 18pcs; Connector: Pads; Material: Aluminum ; Thickness: 1.6 mm. Hexahedron; LEDs quantity: 18pcs; 840 lm; Connector: Pads; Material: Aluminum ; Thickness: 1.6 mm. 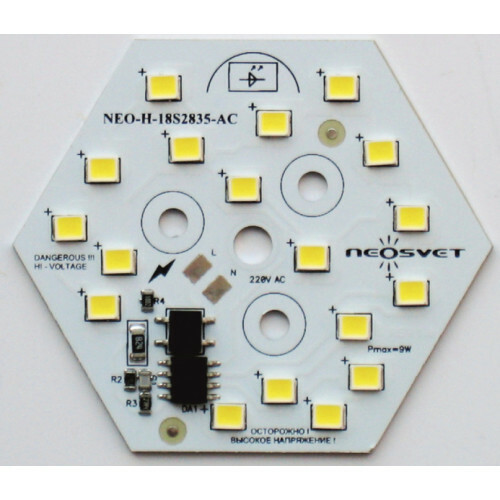 Hexahedron; LEDs quantity: 18pcs; 860 lm; Connector: Pads; Material: Aluminum ; Thickness: 1.6 mm. Circle; Size 60mm; LEDs quantity: 1pcs; Connector: Pads; Material: Aluminum ; Thickness: 1.6 mm.